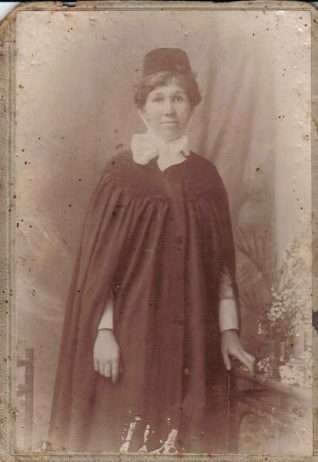 Matilda Grace Maynard was my grandmother. She was born on 9 September 1869 in Brighton and was the daughter of Josiah and Sophia Maynard (nee Kirby). 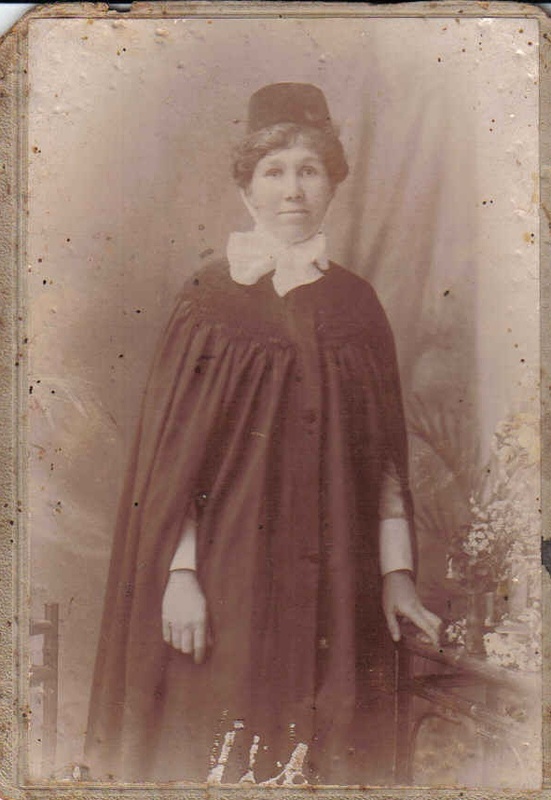 Gran was a school teacher at Brentwood School, Essex before leaving the UK in 1903, bound for Port Natal, South Africa to wed with Edward Thomas Collins, who was affiliated to the Royal Engineers during the Anglo Boer War. Edward was also born in Brighton and was a great nephew of Capt Fred Collins of Skylark fame. His parents were William Henry and Ellen Collins (nee Harman). Her father, Josiah Maynard, worked for the Brighton Water Works and, when she was born, the family lived at 3 Cavendish Street, Kemptown. A few years ago I travelled to Brighton to photograph her birth home and sadly found that it had been demolished. The family subsequently moved to 5 Carlyle Street, where they lived at the time she left for South Africa. Edward was deployed to France during WW1 and never returned to SA, where Matilda remained until her death in 1956, prior to which she became blind. I have included a photograph of Matilda taken in the late 1800’s or early 1900’s by W.Avenell & Co, Art Photographers of 48 West Street (Near the clock tower) Brighton.